An extra light blade perfectly suited to aggressive offensive rallies. Its 7.5 mm thick Balsa core provides good speed and a strong rebound. The two layers of fibreglass increase the stability and provide a greater sweet spot for fast attacking topspin strokes. Light but powerful the 7.5mm balsa core ensures great catapult effect. 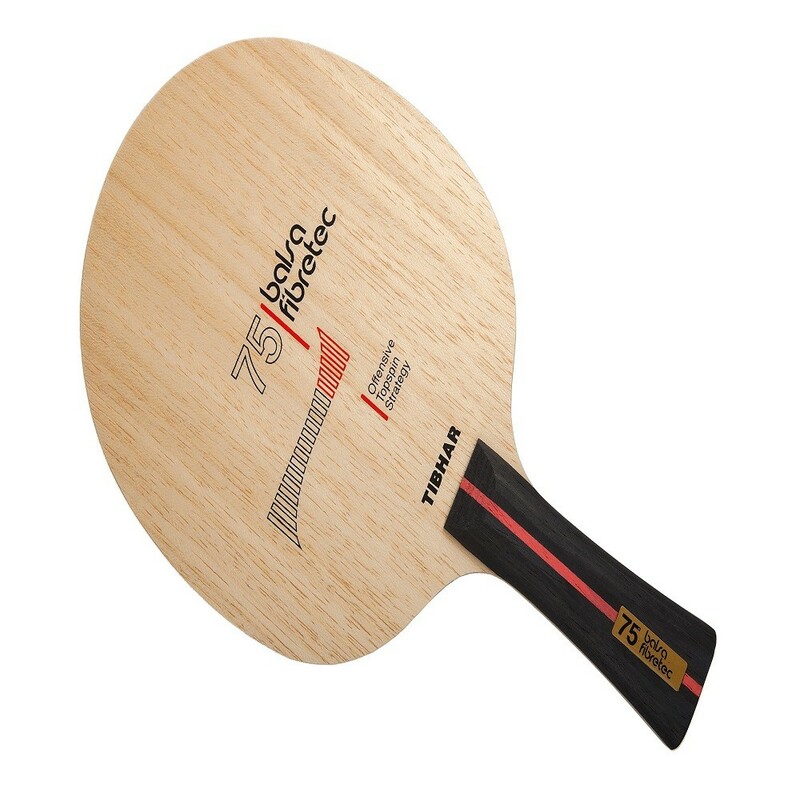 Weighing in at a mere 70 – 75g the Balsa Fibretec 75 nonetheless possesses the armoury required for the high acceleration required for an offensive loop and topspin game. The fibre glass plys provide stability and an improved sweet spot – feel in control both at the table or at mid distance in both dominating attack or counter loop rallies. The extra light weight (70 – 75g) and fine balance of the blade relieves stress in the arm and is ideal for players who have experienced wrist or tennis elbow related problems.